Queens of Darkenss. Please give credit if you use it or post it somewhere else!. 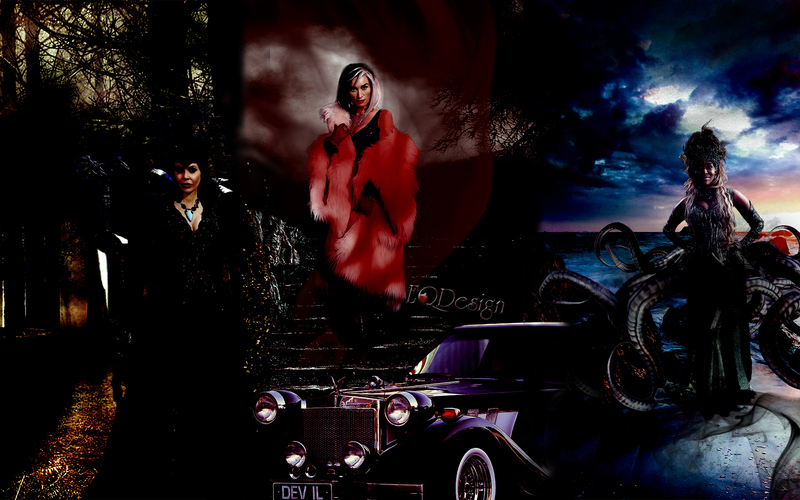 HD Wallpaper and background images in the noong unang panahon club tagged: photo once upon a time ouat ouat fan art queens of darkness s4 the author the apprentice eqdesign eq design oncebg cruella de vil ursula maleficent victoria smurfit merrin dungey. This noong unang panahon wallpaper might contain kalye, lungsod tanawin, urban na setting, minicar, sedan, and saloon.